Your Commercial Garage Door Specialists! The Gainesville Door Company is the local service provider to call for outstanding garage door services in Gainesville, FL. We have been providing exceptional service for decades and we are totally committed to making sure you get the best garage door service for your home or business garage. We will use all of our combined 38 years of experience to ensure you get the most effective service the area has to offer. We provide both residential and commercial work for the Gainesville, FL community. 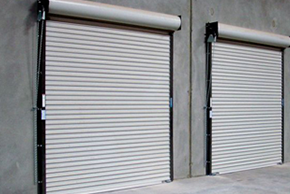 We specialize at garage door repairs, garage opener installation, and overhead door installation services. We have been in business since 1984! Over that time, we have worked hard to become a reliable, professional, and dedicated servicer of garage doors that you can respect. Our team is always friendly and honest. Your standards are our top priority. Our products and services simply cannot be beat. We stand steadfast behind the products we utilize, displaying a warrant you can trust. Double track low headroom is an area we have mastered. Our experts will fix any problem for you. Just let us know what you need and we will be there. We provide premium products, installation, repair, and maintenance service for residential and commercial garages in Gainesville, FL. You can count on Gainesville Door Company to provide quality installations by qualified technicians who are masters of their craft. Our 2-hour service window is alluring and if you give us a call early enough in the morning, our experts will often provide your service the very same day. Give us a call first and receive garage door services you can trust to be dependable and accurate.